senior officials as the de facto ruler. 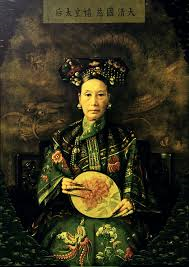 Cixi was the widow of the previous emperor, and an astute politician, building up a network of loyal functionaries around her – the conservatism of this group was later to clash with the modernising Guanxu’s attempts to reform Chinese society. On June 11, 1898 an imperial edict was released telling officials to commit themselves to propelling China towards ‘wealth and power’. A recent defeat to the Japanese had highlighted China’s military and economic weakness, bringing about a wave of national questioning and a growing desire for a fresh start. The old system represented by Cixi and her associates was undermined by this humiliation, and demonstrations by students taking the imperial examination in Beijing called for China to modernise itself in order to survive. These students had been exposed to Western knowledge and ideas that had led them to question the beliefs on which the status of the Qing dynasty and their empire rested, posing a challenge to the foundations of the Chinese world. Guanxu’s reforms, however, aimed to strengthen the existing system of government rather than change this system. More attention was to be paid to practical subjects and the study of current affairs, and schools would be based on a combination of Confucian and Western thought. Each district town was to be given a primary school and a university would be opened in Beijing. Army schools were opened, with foreign instructors recruited to bring Western military knowledge. Soldering, which had previously been looked down on in Chinese society, became an attractive profession which provided educational and social growth opportunities, with armies serving as a place for young, educated men to discuss reformist and revolutionary ideas1. A fleet of 34 warships was to be built and militias would be set up in every city and town, acting to foster a national military spirit. Governance was to be streamlined and greater openness was encouraged. Court officials were warned to deliver all complaints to the throne without obstructing them as they had previously done, and officials who denounced subordinates for putting forward ideas for reform were punished. Newspapers were told to write freely on political subjects and expose the ‘misgovernment of officials’. initiatives, saying “As long as you do not cut off your queue [the traditional Manchu hairstyle] I will not interfere”, she soon received complaints from conservative officials who felt their status was being undermined by the reforms. These led her to stage a coup against Guanxu on September 21, 1898, telling him that the Manchu Clan Council was unanimously opposed to his reforms and had asked her to assume the regency. Supported by Yuan Shikai, the commander of China’s biggest army, Cixi emerged victorious. With nobody to stage a counter-coup on his behalf, Guanxu lived out the rest of his days on an island in a lake at the Summer Palace – power had passed into Cixi’s hands, and many of Guanxu’s reforms were dismantled. Despite some reforms, such as modernization in the army, continuing, the coup enabled the regime to avoid facing fundamental questions raised by the 100 Days about the nature of modern Chinese society. Guanxu’s inability to impose his will on the Chinese state bureaucracy stemmed from a number of factors. 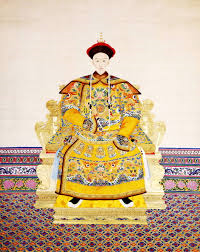 Manchu nobles were outraged to learn that they would lose their privileges under the new reforms. The end of the imperial examination system meant the destruction of the defining feature of the gentry-scholar class, causing magistrates to fear losing their status in society. The streamlining of bureaucracy would cost thousands their jobs, while greater freedom of information and speech would mean that corrupt and inefficient practices would be exposed and perpetrators punished. Many government officials therefore rallied against the reforms fearing that they would undermine their power. Guanxu’s readiness to enlist foreign ideas and help in shaping his reforms meant that these reforms were viewed suspiciously by Chinese distrustful of foreign influence. Guanxu sought counsel on modernisation from the Japanese, and ordered a study of opening the whole of the coast and Yangzi River to international trade, leading some to question whether Guanxu was selling out the nation. Following Cixi’s coup, there was no popular mass movement to re-instate Guanxu or continue his reforms. This was partially because China lacked the kind of middle class that provided a natural constituency for change in Europe and the United States – the majority of the population was concerned primarily with survival, while the upper classes were both small in number and largely interested in perpetuating the current state of affairs2. Guanxu and his fellow reformers had not bothered to seek popular support, speaking of democracy but instead attempting to strengthen China by imposing age-old, top-down authority.